Clear and radiant skin is everyone’s dream, and seeing a white or blackhead on your face can be quite annoying, to say the least. When you start with one and realize there’s an entire army left for you to battle! Don’t worry, we have a few tips that can help you tackle these stubborn white & blackheads. There are many home remedies that help you get temporary results. But, it is always best to consult a dermatologist, to understand your skin’s unique needs and concerns in detail. Which will only help you address your skin concerns using the right method? If you or someone you know has blackheads or whiteheads. You’ll be glad to know, you are not the only one, and it’s nothing to be ashamed of, this is a common issue faced globally! And, it definitely doesn’t mean your skin is dirty, it just means, your skin needs special care. You can do it all by yourself, or with the help of an experienced dermatologist. Before we learn how to take care of them, let’s know more about, what they are, and why do they appear on our skin. Blackheads are an oxidized(combined chemically with oxygen) mix of oil and dead skin cells, that have settled inside the pores. With continuous exposure to air, it causes them to oxidize, turn black in colour and stay open on top. This way more dirt, oil, and dead skin cells build up over a period of time. Whiteheads are similar to blackheads, but the top of the pore in a blackhead is clogged and closed. They usually appear on the forehead, nose, or chin, due to our pores being clogged with oil, dirt, or bacteria. Whiteheads are usually white or yellow in colour, and are firm to touch. What Causes Blackheads & Whiteheads To Form? Having white or blackheads doesn’t mean you're in trouble, it just means you need to pay close attention to your skin. If you’re running short on time, or just don’t have the patience to wait in a doctor’s clinic. Then, these few remedies given below can give you a temporary fix for white and blackheads. Making changes in the way you take care of your skin definitely makes a difference and will help improve your skin’s health over a period of time. Steaming is an old practice which has been used for many years. It helps open up pores and makes it easier for the particles stuck inside to come out easily. Opens up all the pores, which releases any dirt, oil and any particulate matter stuck to your skin's surface. 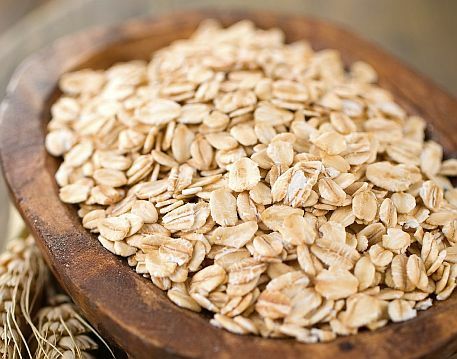 Oatmeal works as a great exfoliant, it’s natural and gentle on your skin. It aids in removing black and whiteheads after application. Apply an oatmeal face pack, you can use either water or milk according to your preference. You can also try using charcoal masks, clay masks, papaya or pineapple extract to remove the surface skin cells. Applying toothpaste on the whiteheads for 30 mins, twice a day also helps whiteheads reduce in size and colour. Cover the affected areas with a dot of toothpaste in order to dry out the whitehead from inside. Aloe Vera is known to eliminate acne-causing bacteria, soothes the skin, and also stops excess oil production on the skin’s surface. Mix it with a tablespoon of lemon juice and apply it on the affected areas or all over the face to get the best results. This will help unclog pores, rule out stubborn acne, blackheads, and whiteheads on the skin’s surface. Exfoliating the skin helps remove stubborn dead skin cells, dirt, and build up over a long period. While using an exfoliator, keep in mind to be gentle, as you don’t want to cause any extra damage to the skin. You can also substitute your exfoliator by using sugar instead, it works as a substitute and a natural exfoliator. After trying multiple methods to get rid of black and whiteheads, always remember to moisturize your skin as these methods might strip your skin of its natural oils resulting in dry skin. Use a moisturizer whenever your skin might feel too dry or tight, to avoid any more damage to the skin. Avoiding to take care of your skin’s needs only makes the problem bigger than it actually is! There are numerous ways of tackling white and blackheads, and we have the perfect solution for it. SkinKraft simplifies the entire process of understanding one’s skin characteristics from the comfort of your home. Our breakthrough SkinID questionnaire helps you recognize your skin type, your skin's specific needs and unique concerns. It is known for its precision in providing your skin with what it requires, to restore and rejuvenate your skin. After which, we craft a daily skincare regime, that is customized and formulated with specially blended products that cater only to your skin’s specific needs.